Impressive Online Reputation Secures a Good Career! 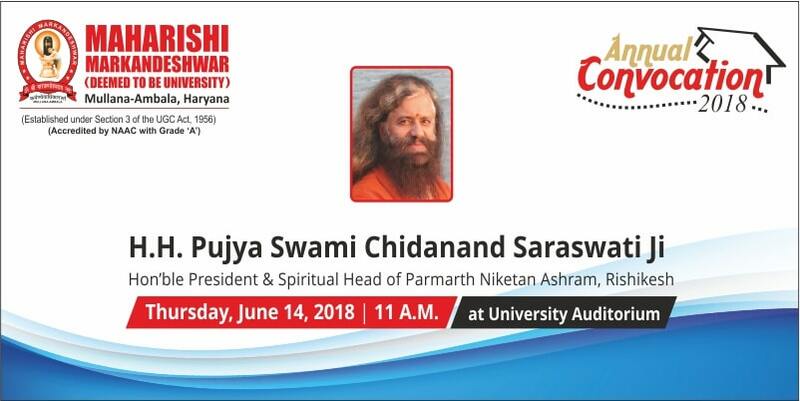 Home > Posts tagged "Annual Convocation 2018"
Maharishi Markandeshwar (Deemed to be University), Mullana – Ambala, erstwhile known as Maharishi Markandeshwar Education Trust was founded with the objective of social, educational and economic upliftment of society in the year 1993, in the name of Lord Shiva’s devotee, “Maharishi Markandeshwar Ji”. MM University Trust, Mullana – Ambala has become a symbol of quality education in technical, professional and medical streams in northern India and has been carrying on its lineage for over 25 years. Copyright © 2018 M.M. (Deemed to be University), Mullana. All Rights Reserved.